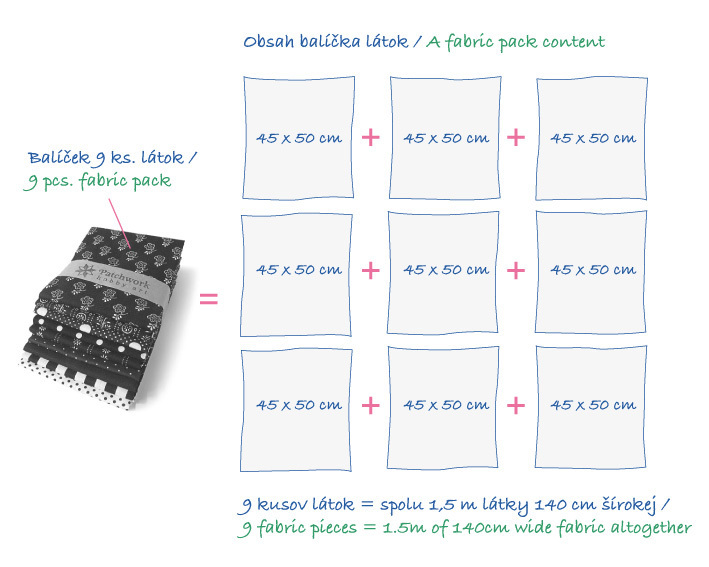 Pack of nine thematically corresponding 45x50cm fabric pieces; 1.5m of 140cm wide fabric altogether. 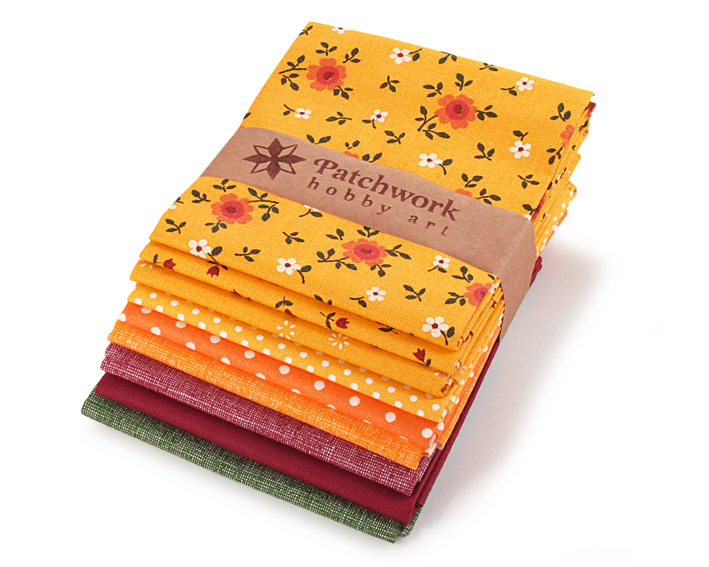 Small print fabrics suitable for patchwork. 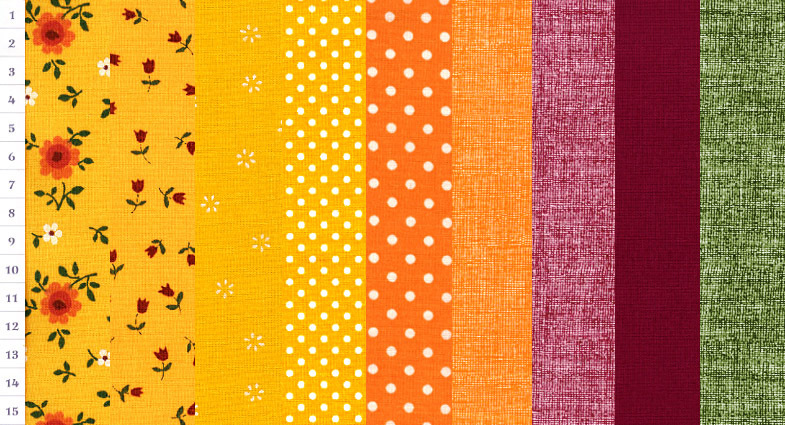 Colours: yellow, red, orange, green, white.